I feel a little behind on the whole Maxi skirt frenzy. It just took me a while to want such a simple loose skirt. But I was wrong! After I wore my first one I just loved it. It is pretty much the most comfy thing out there. And it looks nice. I went ahead a made another one and bought the material to make at least two more. Don't be surprised if you see me wearing a maxi skirt almost everyday. And like my other skirts, this is very basic and super easy to do. 1) Cut your fabric. Since this was my second one I just layed my first one on top and used it as a pattern. You will need to measure. Fold the material in half and cut a big triangle (actually two because it is folded in half). The top should be your waist measurement plus one inch cut in half. Mine was 16.5" For the length just measure from your waist to the floor. Mine was 36". 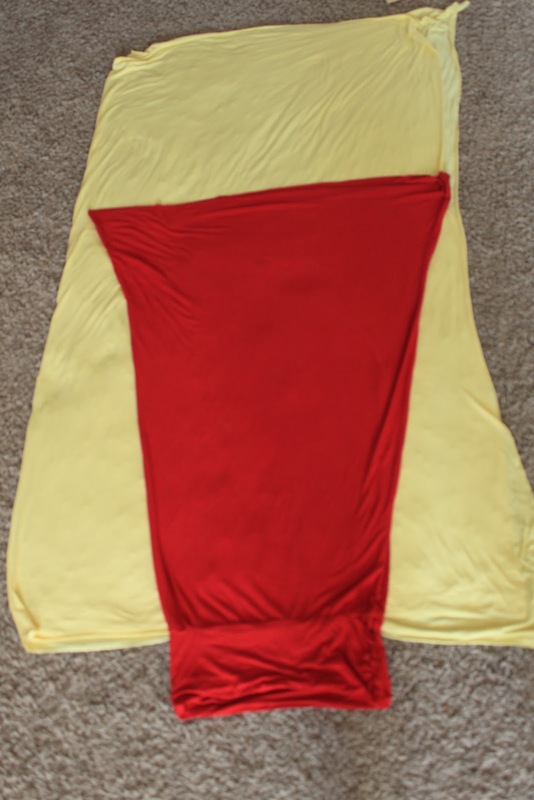 Then make the bottom width 37", or as close to that as you can with your fabric folded in half. Now cut the waistband. Make it 12" long by your waist measurement plus one. Mine was 32". So I cut a rectangle that was 12" x 33". 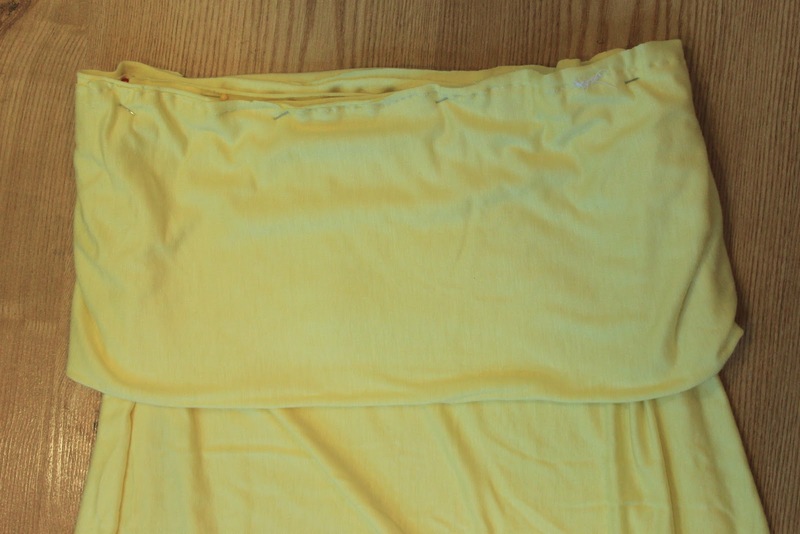 2) Fold the waistband in half so the 12" sides are together. Pin and sew that end. You should now have a circle. 3) Fold the circle in half making sure the seam is on the inside and sew the open ends together. You should still have a circle but it should only be 6" tall instead of 12". 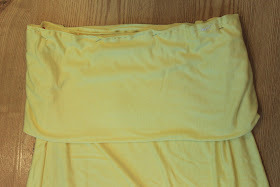 4) Place the two skirt pieces on top of each other, pin the sides and sew the two long sides. 5) Match up the waistbands. Pin them together and sew them. That is it. 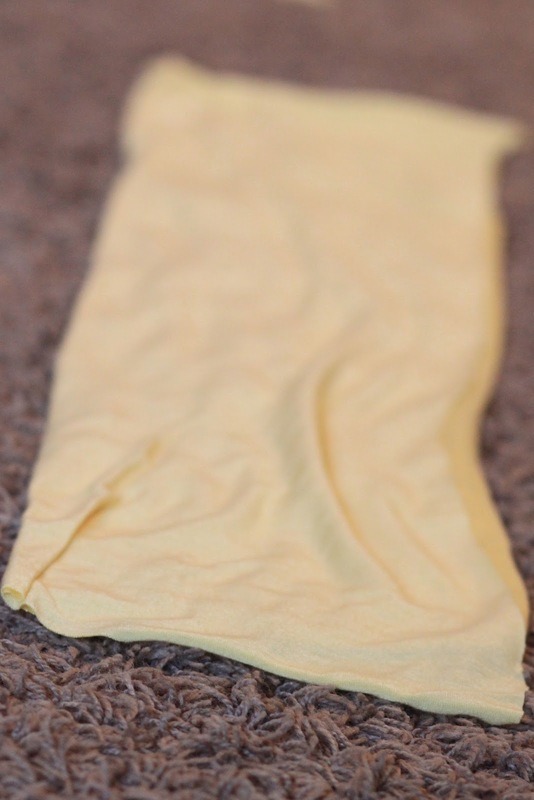 I didn't hem the bottom because of the knit material, but if yours seems a little long you can go ahead and do that. I learned how to make the skirt here. Although I did a few things different for my skirt and this tutorial. Do you want me to make a maxi skirt for you? If you don't have time to make your own I'll do it! I charge $40 send me an email (watchoutforthewoestmans@gmail.com) and we'll talk. That is so awesome! I love the color of the fabric you chose. It is so summery and flowy. I love that the waistband is thicker and it's good for mama's like me who still has a bit of that poochy tummy thing. hehehe.. :) So beautiful! Okay, you are amazing Doranda! Do you have an etsy shop where you sell maxi skirts? I have actually been researching flamenco skirt options (basically a maxi skirt like this with gores for added fullness) and I'm amazed at how simple you make it seem! Oh this is amazing! I'm sewing deficient so I'm blown away you're able to make this skirt. I've been thinking about taking some classes, though. By the way, I nominated you for the One Lovely Blog award. Thank you so much for sharing with us at Someday Crafts. I will be featuring your tutorial tonight on our blog. Please stop back and and grab a Featured at Someday Crafts Button for your blog. Thanks for the inspiration! oh, I love this. I have seen maxi skirts before but this one is really nice. I love that color too! Hey, this will be featured tomorrow over at thewinthropchronicles.com! I really love your blog! You are pretty awesome! New follower. Hope we can keep in touch!! Did you use 45 or 60 inch fabric? i just made one from jersey i thrifted for $3, it turned out perfect. thank you! Do a tutorial on youtube. Its easier to know exactly what your doing than ready it lol. This is adorable, and while I want one for me I REALLY want one for my 2 year old. Off to get sewing. Thanks again so much. Just a quick tip.... Make sure you measure your bum/hip area too if your "waist" measurement is at your true waist.... I just wanted a maxi skirt that could sit higher if I wanted, and then I forgot to measure my hips!! Now I have an adorable coral maxi skirt that is only fit to be worn in the presence of my husband (it's worse than my tightest yoga pants!). Oh well! Guess I have a great maxi skirt to give away to a petite friend! Thanks so much for this great tutorial! I am a complete sewing fool but I managed to make a skirt cute enough that I'm wearing it today! I'm planning on hunting through my fabrics and making more. Didn't understand the waist measurement. 12x17x33. I am confused by the waist piece measurements. Would you please clarify? I would really love to make this! Sorry guys, it looks like I had a typo on my waistband measurement. It's fixed now. Let me know it it still doesn't make sense. Makes sense now! Thank you so much! I love the colour of the fabric. I don't own anything maxi, I've tried maxi things on but I've always felt odd in them. Thanks for your comments! I will try to respond to all questions as long as you are not a 'no-reply blogger' (meaning I can't see your email address).